The Mountain Leader scheme is a national qualification administered by Mountain Training, providing a level of basic competence for those who are in a position of responsibility in mountainous terrain in summer conditions in the UK. It focuses on good practice which allows safe enjoyment of mountain walking, and it is valid throughout the UK and Ireland. Chris is approved by Mountain Training as a course provider for the Mountain Leader scheme. There are a huge number of Mountain Leader courses throughout Britain, so why should you book with us? Our clients think we do a great job! Check out some of their comments on the Mountain Leader Training Courses page and the Mountain Leader Assessment Courses page. 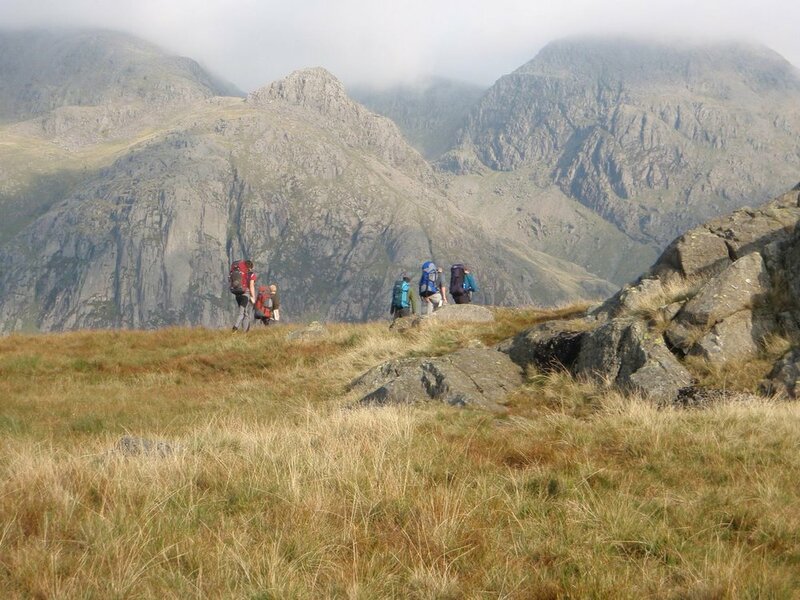 Our Mountain Leader courses are run in the mountains of the Langdale and Coniston areas of the Lake District, so bear this in mind if you are booking accommodation - Ambleside is a good place to base yourself. The expedition element of our assessment courses sometimes starts and finishes at Seathwaite in Borrowdale. Our choice of venue for each day varies with each course, depending on the weather conditions and the participants. We can also provide courses in other parts of the country on request. Training courses are six full days, and assessment courses are five full days. If you have a group of 4 or more for training, we can provide a bespoke course on a date to suit you. We can also provide split courses over two weekends - please ask if you are interested in this. What Should You Expect On Your Mountain Leader Training Course? Do You Recognise The 10 Early Warning Signs Of Hypothermia? So What Do You Actually Do On A Mountain Leader Steep Ground Masterclass? What Should You Expect On Your Mountain Leader Course?